Welcome to our Buying Guide to help you choose the Best rotary hammer drill for your specific needs. The rotary hammer drill can only be described as the king of electric drills. Many of you looking for a general purpose DIY drill might find a regular hammer drill as being sufficient. That may be true for common drilling tasks around the home. But, there are situations where a rotary hammer drill is definitely going to be the best tool for the job. This buyer’s guide is going to look at the difference between the types of hammer drills and which is the best for any particular situation. I’ll also be providing a lot of useful information regarding these power tools. I’ll be covering topics like how a rotary hammer drill works. What’s the difference between a hammer drill and a rotary hammer drill? I’ll also provide some valuable advice on using these drills and offer some safety tips. Okay, I get that many of you may not need all this advice. For those who know and understand these tools, you simply want to know which is the best rotary hammer drill. So, we’ll start with a review of those drills that have made the grade as great tools for both the DIY homeowner and the professional contractor. 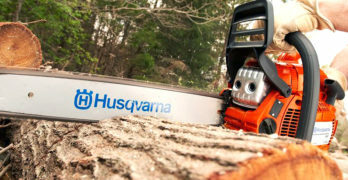 There are many brands out there, providing great options for the power tool buyer. Some of the best rotary hammer drills come at a price that make them unaffordable to many of us. So we’ve chosen three top brands that are reasonably affordable. If you know your power tools, you’ll see we’ve done a good job selecting drills that offer a great combination of quality and value for money. No one can argue that names like DeWalt, Makita, and Bosch are up there with the best that you can get. Whilst among the most respected brands around, none of them are the most expensive and this means that you’re getting a great deal. Evolution in the power tool industry has led many to favor battery-powered drills. Some still prefer corded tools for their price and the fact that you never have to contend with a flat battery. Each have their place, so we’ll be reviewing both corded and cordless rotary hammer drills. Like so many, I consider DeWalt and Makita tools to be the best. They’re tough tools and, for the quality they provide, are very reasonably priced. So, it goes without saying that we’ll be reviewing the best that these two brands have to offer. Though, we cannot overlook the Bosch Bulldog, which is widely considered as the best in this class of drill. We’ll also be reviewing some great rotary hammer drills from the Bosch range. This review of the 7 best rotary hammer drills is certain to make your life easier. With a shortlist of highly recommended tools, you won’t be wasting time on your decision. If I were to recommend one above all the others, this would have to be the Makita XRH07ZKU. It’s a powerful drill with amazing capabilities. SHOCKS – Active Vibration Control reduces vibration felt by the user at the handles. A Perform and Protect feature. DeWalt cordless tools are probably the most popular. 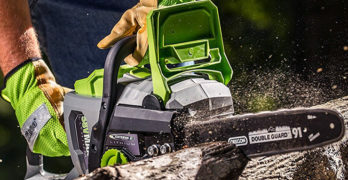 I would think this has mainly to do with their extensive range of 20V battery-powered tools – the range includes over a hundred very useful tools for all purposes. This, along with the DeWalt reputation for manufacturing exceptional power tools. If you already have a DeWalt 20V charger and enough batteries, the advantages of extending your tool arsenal with same range makes a lot of sense. Added to this, their upgraded 60V Max range utilizes the 20V/60V FlexVolt battery. This means even as you move toward the more powerful batteries, these can still be used with your existing range of 20V cordless tools. I’ve always found the changes in battery technology to their biggest drawback. Sure, an improved battery is great and the technology changes quite rapidly. Though, in order to keep up with the new improved batteries, you need to replace your tools because they don’t operate at the same voltage. This becomes an expensive and wasteful exercise. So by making the FlexVolt battery backward compatible, you’re able to use the new and improved batteries with all your existing tools as well as the newer, more powerful 60V and 120V models. So it’s understandable why so many lovers of cordless tools swear by DeWalt. We’re going to be reviewing two DeWalt 20V rotary hammer drills here. Though, in reality, it’s just one. 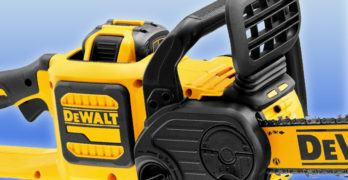 DeWalt has a way of changing the model number between the tool as a stand-alone product and the option of including the battery and charger. So the DeWalt DCH273B is the drill only and the DCH273P2 includes a 5AH battery and a charger. So when I review the product, I’ll be referring to the DeWalt DCH273B, as this is the actual drill. If, like so many, you already own a number of DeWalt 20V tools, you won’t see a need to pay extra for an additional battery and charger. If not, the option to include the battery and charger will be in the form of the DCH273B. Another bonus when choosing the DeWalt DCH273B is that you get a carrying case for the drill, charger, battery, and your accessories. True to the brand’s reputation, the DeWalt DCH273B is a tough and reliable cordless rotary hammer drill. It has some great design features that make it one of the easiest and safest to use. You get the standard stuff like a 360° side handle and a depth rod. Though many drills only offer a left hand or right hand position for the side handle, so a full 360° rotation does give the DeWalt an advantage. The wonderfully ergonomic main handle and conveniently placed trigger switch certainly add to the ease of use. With a weight of only 6.8 LBS (including the battery), it is almost effortless to work in any position. The DeWalt DCH273B is probably the best for drilling overhead and, being dust collection ready, certainly helps in these situations. This would mean using the drill in conjunction with the DeWalt D25303DH dust extractor. This is, without a doubt, the best dust control system I’ve seen for an electric drill. It fits to the front of the drill and extracts the dust as it’s churned from the bit. Leaving no trace of unwanted dust, you won’t have dirt in your eyes when drilling overhead. This is a move that many drill manufacturers are taking in order to meet OSHA silica standards. Although, what I particularly like about the DeWalt D25303DH, is that it doesn’t require a vacuum with a pipe connected to the drill. The small system has a collection box and filter attached. This does mean that you have to empty it fairly often and clean the filter, but it’s really convenient when working in a position where using a vacuum and pipe would be totally impractical, if not impossible. The SHOCKS Active Vibration Control system that DeWalt has developed is a real game changer. Gone are the days of numb wrists and hands after drilling through heavy concrete. This, alone has me harking after the DCH273B. Though, to be fair, many of the other manufacturers have developed ways to combat user fatigue by reducing vibration and these may well be equally as effective. The factory set clutch also reduces the risk of unwanted kickback if the bit jams. Another feature that has become common on the best rotary hammer drills and, I’m sure you’ll agree, is of tremendous value. A heavy twist of the arm from a jammed drill can leave you unable to use that hand effectively for days. The DCH273B boasts a vibration spec of 6.6 M/S². Though these figures don’t always give an accurate idea of what you’ll actually experience. The bit you’re using, the condition of the bit, and the material you’re drilling into will affect vibration levels. Manufacturers will always provide a more favorable vibration level. Even so, this figure is quite impressive, considering that some rotary hammer drills (specified in the same way) can have vibration levels as high as 14 M/S². So, in this context, you can be sure that the DeWalt is way better than the norm. It’s remarkable how powerful cordless tools have become. Although this is a compact and lightweight little rotary hammer drill, it packs quite a punch. It comes with an SDS+ chuck and has an optimal drilling capacity in concrete of ⁵⁄₃₂” – ½”. It will accommodate any SDS bit, which means up to 1⅛”. With the larger bits, you’ll need to be patient as this drill is not as powerful as the large corded machines. The super-efficient brushless motor develops 2.1 joules of impact energy, with a pretty impressive working time from the battery and you can almost double your working time by using the FlexVolt 9AH battery. The variable speed trigger affords the user the ability to control the bit speed from 0 – 1100 RPM (no load speed) with a hammer action ranging from 0 to 4600 BPM. You also have a chipping setting for use with SDS chisel attachments. Another pretty cool addition is the retractable metal utility hook. For a small, easy to use, cordless rotary hammer drill, the DeWalt DCH273B is a real champion. As one would expect from a battery-powered drill of this size, it won’t handle the really heavy-duty jobs as well as a bigger more powerful drill. However, the convenience of a lightweight compact drill with a good deal of power will prove to be the best in many working situations. The attachment-free dust extraction option makes it the most convenient drill to use anywhere you need to. After searching the web for anything that may detract one from buying this drill, I really couldn’t find any legitimate complaint and that’s rare. One small irony that I saw on the DeWalt website is that the DCH273B has their standard 3-year warranty, 1-year free service plan, and 90-day money back guarantee. The DCH273P2 kit which includes the battery, charger, and carrying case has the same warranty and guarantee, but the free service plan has been extended to 2-years for this model – even though it’s exactly the same drill. Easily one of the best and most popular best rotary hammer drills. Ideal for anchoring to large material breaking. Includes : Auxiliary handle, depth gauge, and carrying case. The Bosch Bulldog rotary hammer drill range is certainly deserving of this name. This legendary drill is as faithful and tenacious as its name suggests. The 11255VSR SDS+ is one of the most popular corded hammer drills. The reason for this isn’t hard to understand. It’s an extremely robust, powerful, and versatile tool. This, at a price that’s very competitive amongst the best rotary hammer drills. The powerful 8A motor gives this drill the goods to power through concrete, for holes up 1” with a conventional carbide bit, or 2⅝”, using a thin wall core bit. At 2 Ft-LBs, it has the impact capabilities to meet almost any challenge. It has a no load rotation of either 0 – 5800 RPM or 0 – 1300 RPM which is controlled by a variable speed trigger. The variable speed also works in reverse. It can be used without the hammer action (rotation only) or, if you want to use a chisel, the rotation can disengaged, leaving only the hammer. The ¾” SDS+ chuck is excellent and changing bits is as easy as pie. A really great design feature that the guys at Bosch have incorporated into this drill is the Vario-Lock positioning system. This offers 36 different positions for locking the chisel, so you can adapt to the needs of the job without any complications. All this is packed into a very lightweight (6.7 LBS) and ergonomic design. The padded handles, with a full 360° rotation for the side handle, make it very easy to use. The Bosch Bulldog also has an excellent anti-vibration system, along with a clutch to protect the user from kickback. The dust extractor is of the same OSHA compliant design as many others. The PRO+GUARD dust extractor fits over the bit to remove just about all the dust. This comes as an optional extra and will require a shop vacuum and pipes as well. Go to any review site that talks about rotary hammer drills, and the Bosch Bulldog is going to be there. It’s often the first choice and has been so for many years. All of the top tool manufacturers have the one crowning glory, a product that has earned them a reputation for being the best. For Bosch, the Bulldog rotary hammer drill has to be their greatest achievement. When it comes to a hard-working tool with exceptional abilities, this one has it all. When comparing prices with any of the best rotary hammer drills, I’d say the Bosch comes up tops. This is why it may be one of the best-selling drills internationally, and has been for many years. Best rotary hammer drill with shocks. Engineered with an effective Active Vibration Control system, which reduces user vibration, greatly minimizing your fatigue, making it easy to work longer. Overall, anti-vibration is worth every penny because it protects your health and lessens its impact on your hands and forearms and body in general. Lightweight, low vibration, high-performance drill. In many ways, the DeWalt D25263K and D25262K are similar. So I’ll be reviewing them together. They look identical and both come in a kit with a great, durable, typically DeWalt carrying case. But let’s start by looking at their differences. The D25263K is the larger of the two models with an 8.5A motor, delivering 3 joules of impact energy. It also has a slightly larger chuck for bits up to 1⅛” in diameter. While this drill has a slightly lower rotation speed of 0 – 1450 RPM and the BPM spec is also a little lower (0 – 5350), it has a greater optimal capacity for concrete drilling of ¼” – ¾”. This, more powerful drill, has a higher vibration level of 9.8 M/S², but that’s to be expected. The very minor difference in vibration won’t have any noticeable effect when using either drill. Despite the extra power, the D25263 isn’t much heavier. It is perfectly manageable at 6.6 LBS. In fact, this weight is quite astounding for a rotary hammer drill of this caliber. The junior DeWalt D25262 is less powerful with an 8A motor. This gives it slightly less joules (2.8) and an optimum drilling capacity of ⁵⁄₃₂” – ⅝” for concrete. It can use bits up 1”. The variable no load speed is slightly higher at 0 – 1500 RPM, as is the impact speed of 0 – 5540 BPM. Though I can’t see any significant difference in these specs. With 0.2 M/S² lower vibration and a 0.2 LBS lower weight, there really isn’t much difference in the way these two drills will be to use. So, effectively, the D25262 is the same drill with a slightly lower power spec. Both drills share the same great DeWalt design qualities and certainly feature as among the best corded rotary hammer drills. This includes the SHOCKS anti-vibration system that make DeWalt rotary hammer drills such a pleasure to use. If you look at the handle of these drills, you’ll notice small shock absorbers incorporated into the design. This ingenious concept is what makes DeWalt rotary hammer drills so comfortable to use. The clutch is also the same and is excellent at preventing injury through kickback when the bit is snagged and suddenly jolts to a halt. Their variable speed trigger is smooth and sensitive enough to give you great control over your drilling speed. Both can be used as a chisel (without rotation) and the high-quality SDS+ chuck speaks for itself. When DeWalt set about developing something, they always do a great job it. Both have 3 settings that allow you to use the drill without the hammer action, hammer drill, or chisel. The handles are, as to be expected, perfectly designed for good weight distribution and a comfortable grip. The side handle can be rotated to any position and locks quickly. Naturally, a depth rod is included in the kit and is also very easy to use. Both these drills are compatible with the OSHA compliant D25301D dust extraction system. This is not the convenient pipe-free system that they offer for the cordless drill, but is a great product and includes a telescopic pipe which can handle long bits. As we’ve come to expect from DeWalt, these are wonderfully designed drills with the highest level of build quality. Both come with their improved 3-year warranty, 2-year free service plan, and 90-day money back guarantee. This is a brand that I, like so many, have come to respect and depend upon for delivering on their promise of high-quality power tools and excellent service. Best rotary hammer drill with vibration control. 3 Modes : Rotary hammer, hammer only, or rotation only. Given the Bulldog’s legendary reputation, I’m not entirely convinced that I’d want to pay so much more for the Bosch RH328VC. Though it has some really outstanding design features and many may prefer this model. For one thing, it’s a lot shorter, 12.5” vs 17.25” for the 11255VSR SDS-plus. This stocky design certainly improves the weight distribution and I’d think that the Bosch RH328VC should be the easiest rotary hammer drill to work with when compared to most others. It’s as powerful as most comparable drills with an 8A motor delivering 2.6 Ft-LBS of impact energy. This gives the RH328VC a maximum capacity of 1⅛” for holes in concrete with a standard bit and 3⅛” using a core bit. No load BPM is 0 – 4000 and the rotation ranges from 0 – 900 RPM. The ¾” SDS+ chuck is great and you’re able to adjust the chisel position with 12 settings. This drill is noticeably heavier than the two DeWalt models (reviewed above) that have similar specs – 7.7 LBS. Although this weight may seem to be a disadvantage, I think the stocky design could make it easier to use. The Bosch Active Vibration control is great at reducing the vibration which helps a lot in reducing user fatigue. This system looks very similar to the DeWalt system with small shock absorbers built into the handle. The Handles are also fantastic. The main handle is huge with plenty of padded grip and an over-sized variable control trigger switch to assist with different working positions. The side handle also has a comfortable soft grip and be rotated to any position. A dial at the side can be set for non-hammer drill, rotary hammer, or chisel. So one can see this as full-function rotary hammer drill like the others reviewed thus far. It’s fitted with clutch that will disengage the drill when the bit is jammed. The Bosch RH328VC comes at a very similar price the DeWalt D25263K, which leaves me wondering which is actually the better drill. I will always lean toward DeWalt (or Makita) when comparing them to similarly priced tools with the same capabilities. Though, in all honesty, this is just brand preference and not based on any real technical criteria. The short body which, I’m sure will make the Bosch RH328VC an easier toll to use, is a definite advantage. This simple design approach may make it the best in its class, especially for people who need a very powerful rotary hammer drill for working overhead. So, this drill certainly has a lot going for it. Delivers precise drilling with 70 percent power soft start. 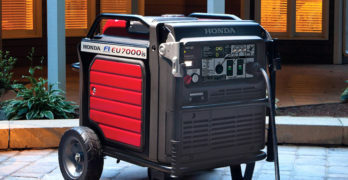 Includes : (2) 4.0 Ah FatPack Batteries, (1) 36V Charger, (1) 360° Auxiliary Handle, (1) Depth Gauge, (1) Carrying Case. Fans of the beloved Bosch Bulldog series who want the convenience of a cordless drill will be delighted by the Bosch RH328VC. Though to look at it, this drill resembles the RH328VC with its shorter length – which is good thing. I wouldn’t begin to compare the 36V Bulldog to the DeWalt cordless drill kit that we looked at in the beginning of the review. Although this kit which includes two batteries, a charger and carrying case is more expensive than the DeWalt kit, it’s in a very different class. The DeWalt cordless drill that we reviewed here is a small compact cordless drill that doesn’t have the same power as most corded machines. The Bosch, on the other hand, has the power to compete with any corded machine. This does make it bigger and quite a lot heavier, but that comes with providing this kind of power from a cordless tool. It uses two 18V batteries in series for 36V power. The double battery setup, alone, is going to add quite a bit of weight. When it comes down to it, if we compare the price between this one and the small DeWalt, the Bosch is definitely better value. Those extra dollars spent on this drill provide you with a lot more power and, therefore, better drilling capabilities on every level. As much as I really like the cordless Bulldog for its power and features, it’s not all good news. For one thing, this is a particularly heavy drill (9.6 LBS) and, although it has the vibration control system, it only seems to have one shock absorber for the top of the handle. The corded models have one at the bottom as well. So, using the RH328VC for hours on end is going to separate the men from the boys. Though this is not all as bad as it may first appear. The way in which much of the weight is placed below the hand does a lot to compensate for those extra pounds. I’m also not sure if the shock control system is compromised to any real extent – this is just an observation from looking at the machine. So these factors shouldn’t detract much from the fantastic capabilities and wonderful price of this highly competent drill. The main handle and 360° rotational side handle are as good as any we’ve looked at and this gives it a comfortable grip. As one of the few cordless rotary hammer drills that can compete with its corded rivals, the Bosch RH328VC has a great 1⅛” SDS+ chuck with a maximum of 1⅛” concrete drilling capacity using a standard bit. The power at your disposal is also just about as good as any mid-range corded machine – 2.4 Ft LBS. So there’s no compromise here. It has a variable speed of 0 – 940 RPM with 0 – 4000 BPM. It also has a 360° Vario-Lock chisel positioning system. Some more great technology comes in the form of its very smooth starting Electronic Precision Control. With the two 4AH 18V batteries included in the kit, you’re assured of a longer working time than many others. Though when utilizing all the power of this machine, you’ll probably need additional batteries if you intend doing a lot of drilling. Anyone familiar with cordless tools will know how valuable extra batteries can be. It takes around half an hour to charge the batteries to full capacity. As far as health and safety goes, the RH328VC has it all. It has a clutch, like most modern drills in this class, and this does help to prevent injury when the bit is jammed. A dust extraction system is also available. Like any of the other drills, this will involve an additional cost. I like that it has a built-in LED light which is something I’ve found to be incredibly useful on any drill. It also has the common 3-way selector for hammer drill, no hammer (rotation only), and hammer only for chiseling. The Bosch RH328VC may not be perfect in every aspect of its design. Though it’s got a lot of great features that make it worth your while. For cordless convenience with basically no compromise on power, you can’t do any better – especially at this price. Quality is of a very high standard and anyone who’s owned a Bosch Bulldog drill can attest to this. The final word on this drill: a great product and excellent value for money. Exceptional quality. Includes case. Pro-grade! There’s no denying that the Bosch RH328VC is probably the best cordless rotary hammer drill for its price. Though, if you’re prepared to pay more for the ultimate cordless rotary hammer drill, the Makita XRH07ZKU takes things to a completely new level. I’m in absolute awe of this incredible machine. It has all the Hallmarks that make Makita such exceptional tools – advanced engineering and incredible quality. Though, if you thought the cordless Bulldog was a heavy beast, this one will leave you short of breath. It’s no lightweight. The Makita XRH077KU uses two LXT 18V lithium-ion batteries and operates at 36V. The batteries are not included in the kit. So this, already quite expensive drill, is going to cost even more if you don’t have the batteries already. These are some of the best batteries available, though I don’t rate them as highly as the DeWalt FlexVolt batteries. Where Makita may be ahead of the others is with their rapid charge system, which is probably the fastest battery charger and this reduces your downtime. 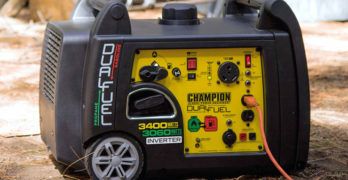 The tool and battery have a unique electronic communication system (Star Protection Computer Controls) that constantly monitors the power and charge level of the batteries. This maximizes your working time and prevents any damage to the batteries – prolonging their life. Makita were the pioneers of battery-powered hand tools and have always had quite an advantage in this field. Another power-saving feature is that the drill slows down when not under any load, saving on the battery power consumption. The power delivered from the brushless motor is astounding, giving the drill 8.4 Ft LBS (11.4 joules) of impact energy. This is way better than most corded tools and will make drilling through tough concrete a cinch. Because of this, it doesn’t need a high RPM or BPM rate and that makes the drill more comfortable and easier to use. The speed ranges between 250 and 500 RPM, impact is at 1450 – 2900 BPM. Control is by means of variable control trigger. This power allows the Makita to drill holes into concrete up to 1⁹⁄₁₆, using a standard SDS bit and 4⅛” with a core bit. The optimum drilling range for concrete is ⅝” – 1¼”. Though you can be sure that with this drill’s power output, it will do so faster than any of the others in this review – even the corded tools. User comfort is further enhanced by the most sophisticated vibration control system which they’ve dubbed, quite aptly, Anti-Vibration Technology (AVT). This is a sophisticated 3-component system that uses counterbalancing pistons that move against the force of the hammer using air, it also has shock absorbers on the handles, like most others, and a damper spring behind the hammer. The combined effect of all these mechanisms reduces the vibration to an incredible 5 M/S². When you consider the immense power that this drill is utilizing, the vibration levels are almost unbelievable. The great padded handles, with 360° rotation for the side handle, just add to the comfort and ease of use. This is spoiled a little by its weight of 16.8-pounds (including the battery). Though they’ve done an excellent job of distributing the weight to minimize user fatigue. That being said, I wouldn’t much enjoy working with this drill for extended periods overhead. Though, even corded drills with this kind of power are heavy machines. When you consider that the Makita delivers four times as much impact energy as the cordless Bulldog, this weight becomes much more acceptable. Realistically, it wouldn’t be possible to manufacture a lighter drill with all that extra power. Makita always throw a lot of innovative technology into their products. I’ve already mentioned the super anti-vibration and sophisticated battery management systems. If this wasn’t impressive enough, they’ve included Bluetooth technology into this drill – I don’t know of any other similar tool that does. The dust extraction system is fairly standard, with a pipe connected to a vacuum. But the addition of the Bluetooth means that there’s cordless communication between the drill and the vacuum. When you engage the trigger, the vacuum is activated and will run until you disengage the trigger. While this is not that uncommon, all other tools that use this feature require the vacuum to be plugged into the drill. This would mean draining the battery to run the vacuum and simply can’t be done with a cordless tool. What a brilliant idea. This Auto-Start Wireless unit is included in the kit, but the extractor system is sold separately. The clutch is also one of the best and makes the Makita a very safe tool to use. The Makita has the usual 3-way dial setting for hammer drill, hammer only for chiseling, and a non-hammer drill. It also has a handy, and very bright, LED light for working where visibility is poor. The kit includes a tough carrying case for the drill and accessories. Although the batteries and charger are not included in the kit, there are designated positions for these in the carrying case. The Makita is by far the most expensive drill in this review. It’s also the most powerful by a long shot. Then there’s all that super technology that places this machine streaks ahead of any other. It’s heavy, but I would say that the power to weight ratio is better than any of the others. It’s hard to believe that a cordless drill can be so much more impressive than so many corded machines when it comes to impact energy. It’s capable of super heavy-duty drilling into the hardest materials. The Makita brand is one of my favorites, particularly when it comes to cordless tools. Makita started introducing battery-powered tools about 20-years before any of the other manufacturers and it shows in their advanced battery management systems and chargers. Their quality and service is impeccable and the Makita XRH077KU comes with a 3-year warranty. Delivers 20 percent more power in hammer-only mode. The Bosch 11264EVS differs from the others in this review in that this is a combination hammer drill. This basically means that it doesn’t have a setting to use the drill without a hammer function. It has a hammer drill setting and a hammer only (chisel) setting. This means that it’s not suitable for drilling into wood, steel or plastic. It’s designed to optimize concrete, masonry and tile drilling or chiseling. To that end, it is one of the best for these tasks and doesn’t cost as much as the others in this class of heavy-duty rotary hammer drills. The 13A motor is a clear indication that this drill is built for heavy drilling. It’s a lot more powerful than the 8A drills in this review. This gives the Bosch 6.5 Ft LBS of impact energy. While this seems lacking when compared to the exceptional Makita cordless drill, it beats all the others that we’ve looked at. It costs a little less than Makita, making it a very affordable option for the type of power that it delivers. Rotation is variable from 170 – 340 RPM and the impact rate ranges from 1700 – 2900 BPM. When an extra boost of power is needed, the drill has a turbo trigger that will increase the output by 20% for short periods. I guess that you can’t really use the boost for too long as it will probably cause the drill to overheat. It has a variable speed dial that adjusts the trigger sensitivity for slower or higher speed control. It has a wonderful soft start and will maintain the drill speed under load by using electronic circuitry that controls the power of the motor. You have a great drilling capacity of 1⅝” maximum in concrete and up to 4⅛” when using a core bit. You can be sure that with the powerful 13A motor, it will chew through hard concrete like few others can. It also has the Bosch Vario-Lock positioning system that allows you to set the chisel angle with 12 different settings. It’s as comfortable and safe as any modern rotary hammer drill. So it has vibration control and a clutch to disengage the bit when it gets stuck. In keeping with the trend of OSHA compliance, this drill can be used with the Pro-Guard dust extraction system, like the other Bosch drills. The weight of 15.2 LBS 15.2 LBS is reasonable for a drill with this capacity. The bigger and more powerful drills are always going to be on the heavy side. It has the stocky design which shifts a lot of the weight downward and this makes it all the more manageable. The large padded handles (with 360° rotation for the side handle) are as comfortable as any and make it a remarkably easy drill to use for its size. For a comprehensive drill for concrete drilling, it’s hard to fault the Bosch 11264EVS. It’s got the power needed for heavy-duty work and is purpose built for concrete and similar materials. It’s also built extremely tough and will hold its own on a demanding jobsite. The kit includes a carrying case for the drill and accessories. At a very reasonable price for a drill of this caliber, the Bosch cannot be overlooked and is one of the best in its class. Each of the drills featured in this review have their own purpose. They are designed for different applications, some favoring a lightweight design for easy overhead work and others are heavier, more powerful machines. I think, for their purpose, each are among the best in their respective classes. If you’re not too sure which is the best drill for needs, this section of the article should help. I’ll start by explaining how a rotary hammer drill works and compare them to regular hammer drills. I’ll then go on to explain the features and bits that are important to consider. There’s bound to be a lot of useful tips for the drill user here that could prove to be very useful. How Does a Rotary Hammer Drill Work? The rotary hammer drill is specifically designed to drill through concrete and other brittle materials with the greatest efficiency. To do this, an electro-pneumatic system is generally used to effect the hammer cation at the bit. Though, pneumatic drills that use an external air compressor are also available. Because an electro-pneumatic hammer drill can be plugged directly into the wall and doesn’t require any extra equipment, they are the preferred rotary hammer drill for both contractors and DIY users. The first electro-pneumatic drill was developed by Bosch in 1914. The electro-pneumatic drill makes use of two pistons on either side of a cylinder. At the end of the cylinder furthest from the chuck, a drive piston is connected to crank which is driven by an electric motor. The drive piston compresses air into the cylinder which forces the fly piston at the opposite end to push the drill bit forward. As the drive piston moves back and forth, the air is constantly being compressed and then decompressed. This causes the fly piston to move forward with great force and is then released. This happens in rapid succession to cause the hammer action that breaks the concrete as the drill bit rotates to churn out the debris from the hole. The benefit of this electro-pneumatic system is that none of the mechanical components make direct contact with the bit. Only the fly piston receives any impact and the hammer system is protected by a “cushion” of compressed air. This helps, to some degree, protect the drill and it’s user from the constant impact of the rapid hammer cation. It also reduces wear on the internal components of the drill considerably. This means that a rotary hammer drill can be used continuously under strenuous conditions for long periods and sustain no damage. The drill can also be used as a chisel, which functions as a mini-jackhammer. By disengaging the chuck from the rotary action of the motor, only the pistons are used to create the hammer action. This allows the user to fit any type of chisel attachment to break concrete, masonry, tiles or any similar material. What’s the difference between a hammer drill and a rotary hammer drill? Because most regular electric drills have a hammer function, many aren’t too sure of the hammer drill vs rotary hammer drill debate. Basically, one can look at a standard hammer drill as one for light-duty work and a rotary hammer drill as the heavy-duty option. Unlike the electro-pneumatic system used in rotary hammer drills, standard electric drills use a mechanical system. Gears drive two discs with ridges in them. As the discs spin, the ridges cause them to be forced away from one another and then back together. The discs, in turn, force the bit backward and forward as they move. While this system is suitable for drilling relatively small holes into brick or light concrete, they cannot compare to the heavy-duty hammer action of electro-pneumatic rotary hammer drills. To drill larger holes and for drilling into old, cured concrete, a standard hammer drill won’t cut it. The mechanical hammer action simply doesn’t create the same force as the compressed air used inside a rotary hammer drill. Because there is constant friction against the discs, there’s excessive wear when using these drills with a hammer action. So while these drills are fine for occasional hammer drilling, regular use will cause the drill to stop working properly. A standard hammer drill relies on the rotation of the discs to create the hammer action. This is connected to the chuck which rotates the bit. So the drill always has to rotate in order to create the hammer action. This means that there is no option for a hammer only setting and these drills cannot be used for chiseling. For regular drilling into concrete, as well as heavy-duty drilling and chiseling, the rotary hammer drill is the best tool for the job. Standard chucks used for drilling and milling equipment comprise a set of jaws that clamp around the shank of the bit. These chucks work in a similar way to fingers clasping a pencil. When there’s increased friction from heavy drilling, the jaws may lose their grip and this will cause the bit to slip. When using a hammer action, the constant impact can cause the bit work loose and fall out. For this reason, the SDS chuck was developed to combat these situations. The SDS chuck used in conjunction with the appropriate SDS bit, creates a better grip. An SDS bit has grooves in the shank. Corresponding slots in the chuck fit into these grooves to secure the bit and it’s virtually impossible for the bit to work loose under any conditions. The bit slots in very easily with a push and twist action. The SDS chuck, therefore requires no tools, the bit is inserted instantly and released just easily. Over the years, the SDS system has been improved. By changing the shape and size of the grooves in the bit, a better grip can be obtained. The SDS-plus chuck and bits are an improvement on the original SDS chuck and has become the most commonly used for rotary hammer drills. These chucks and accommodate both SDS and SDS+ bits. A more advanced SDS MAX system has been developed for extra-heavy duty machines and these can make use of any SDS bit (SDS, SDS+, and SDS MAX). Hilti drills are completely unique and you can only use Hilti bits with these drills. Many consider the Hilti system to be the best. Though their price and the fact that cannot use standard SDS bits, mean that most home users and general contractors prefer tools that have a more universal design. If you’re buying a rotary hammer drill for the first time, you probably have many questions and I’ll attempt to answer them here. It’s not easy to make sense of all the specs and, with prices varying so greatly, you want to be sure that you’re getting the best rotary hammer drill for your money. To do this, you need to have a clear idea of your intended use. As with any power tool, the word power is the important part. This doesn’t mean that the most powerful tool is always the best for every situation. One thing to consider is that more powerful tools are always more expensive. So you need to decide if it’s worth spending more for power that may not necessarily be needed. The electric motor that drives the drill will have a power spec expressed in Amperes (A). Naturally, a more powerful motor will have a higher amp rating. Though this doesn’t always mean that a higher amp rating is going provide the best hammer action. In part, this can have to do with the efficiency of pistons that provide the impact. It can also have to do with the power distribution, some drills may have more powerful rotation, which is good for drilling without the hammer action. Others may choose to use more of the power to drive the hammer action. So this decision will be based on your intended use. If you intend doing more drilling into wood, metal, or other materials that don’t require the hammer, your rotation will be more important. Impact power derived from the pistons is important for concrete, brick, tiles, and the like. As we usually expect a rotary hammer to be used mostly for concrete and similar materials, the hammer impact is probably going to be your most important consideration. This is always specified in joules or Foot Pounds (Ft LBS). If you need to compare drills that are not rated in the same way, 1 joule is equivalent to 0.74 Ft LBS. Your impact energy is important because this is the force with which you are breaking the material into which you are drilling. The rotation is mostly used to remove the debris. This doesn’t affect the size of the hole that you’re drilling too much. If you’re using a drill with less joules, it’s simply going to take you longer to drill the same hole as you would using a more powerful drill. So, it’s mostly a question of how patient you are. Large holes always take longer to drill than small holes. So if you don’t intend drilling very large holes, a less powerful drill won’t be too much of an inconvenience. The same can be said for chiseling. Obviously harder material, like old concrete, will need more power and take a very long time if your drill doesn’t have enough power for the job. One of the things that comes with more power is added weight. A more powerful tool is going to be heavier. This is something to consider if you’re going to be drilling into ceilings. Working overhead with a heavy drill is no fun at all. Today, most of the best rotary hammer drills used for DIY and by general contractors are fitted with SDS+ chucks. Don’t settle for anything less as these chucks are very easy to use, incredibly reliable, and offer superb grip on drill bits and chisels. The size of your chuck can be important, but this really comes into play when using larger than normal bits. For most purposes, a smaller chuck won’t limit you too much. I cannot stress enough how important an anti-vibration system is. Different manufacturers use different methods to control the vibration. In most cases, this involves restricting the vibration at the bit and at the handles. Because of the constant hammering, vibration levels for these tools can become unbearable. Without an effective anti-vibration system, you can only work for short periods and have to stop regularly to rest your hands and arms. So a hammer drill that doesn’t offer an acceptable level of vibration control is going to place you at a major disadvantage. The most important safety feature on any rotary hammer drill is a clutch that stops the drill when it’s jammed. The force that one incurs when a drill comes to a sudden stop, can be crippling. Fortunately, all the best rotary hammer drills are now fitted with a clutch that protects you from harm. If you see a drill that doesn’t feature a safety clutch, don’t buy it. In the construction industry, one has to comply with OSHA regulations and this means making use of a dust extraction system on site. Most drill manufacturers have systems that comply with these regulations. Remember that it’s not just the drill operator that is at risk. Everyone on a building site where excessive dust is produced is at risk of silicosis. This is a serious condition and that’s why strict regulations have been put into place for any industry that cuts or breaks rock, concrete, bricks, or tiles. Home users may not see the need for a dust extraction system. If you wear a protective mask and your family and pets keep a safe distance from where you’re working, you should be fine. These days, most tools have well-designed soft grip handles, so if you choose any of the top brands, you have a comfortable grip on the machine when working. You might want to check the size and position of the handles and decide if this works for you. The general design of the drill may have an effect. These can be heavy machines and, generally, a shorter drill with more of the weight concentrated lower down is easier to use. Some other things to look at are the position options for the side handle. As well as multiple positions for chiseling and I always like an LED light on the drill. There are many situations where this is an invaluable addition. There are three main types of SDS bits that are used with these drills and I’ll give a brief description of these bits and their intended uses. Twisted bits are regular bits with twisted grooves along the outer edge. They have a flat carbide ridge along the tip of the bit, designed to chip at the material using a hammer action. As the bit rotates, the twisted grooves remove the debris from the hole. These bits are primarily used for drilling holes for anchors up to about 1¼” in diameter. One can get long twisted bits that are able to drill though a 12” wall. Core bits are used for cutting holes up to 4” or little more. The bit has a cutter around the diameter and is hollow in the center. So it only cuts the outer diameter of the hole and the center has to be chiseled out. These bits are usually used for cutting large holes for pipes and electrical wiring. Chisel bits come in a variety of sizes and can be used for a number of purposes from cutting grooves into floors and walls to removing tiles or old plaster. A flat spade-like chisel is used to remove material from a surface. A narrower chisel can create grooves and is also used to cut into walls to remove bricks or create, or create an opening for doors and windows. How you start out is important when using any drill. You want to perfectly align your drill before you start. If you’re drilling into a wall, you want to align your drill at a perfect 90° angle before you squeeze the trigger. Any movement or adjustment to your angle whilst drilling will cause the hole to elongate and this will make it bigger than intended. An anchor that’s fixed into a hole that’s too big will not secure properly. When using a hammer drill, it’s a good idea to start with hammer disengaged. The hammer action will easily cause the drill to bounce around the surface and you won’t have an accurate position. So start with drill set to the drill only position and press the tip of the bit onto the mark where you intend making the hole. Then gently squeeze the trigger to drill into the surface at low speed. This will give you a pilot hole that will prevent the bit from moving away from the intended mark. Once you have a hole that will keep the bit in position, you can engage the hammer and drill at a higher speed. It’s very important not to apply too much pressure to the drill. Leaning into the drill with your full body weight is not only dangerous, it will damage both the drill and the bits. Press with only the minimum required force that will allow the drill to cut into the material, let the hammer of the drill do the hard work. This is something that you’ll easily get a feel for. Applying too much pressure, will cause the bit to become excessively hot and it won’t last. It will also put undue stress on the pistons inside the drill. The danger of kickback is increased when you apply too much pressure. So, even though modern drills are designed to protect you when the drill is jammed, when you press too hard against the drill, this might not be effective and you could incur an injury. When using a twisted bit, pull back on the drill regularly to expel the debris from the hole. By pulling back and forth on the drill, you allow the dirt to escape and this will increase the efficiency of the drill. Using chisel attachments takes some getting used to. You will need to find the perfect angle to effectively carry out the task at hand. If you’re removing tiles or plaster, you need quite a small angle – you want the drill to scrape along the surface. When chiseling grooves or removing bricks you may want a sharper angle. This will be relative to how deep you want to cut into the surface. There is no exact angle for any type of chiseling, it’s something that you develop a feel for. You want the correct depth, whilst allowing for a good forward movement of the drill. It’s usually best to cut grooves and holes in several passes, rather than cutting the entire depth in a single pass. Though this will depend a lot on how deep you intend to go. Wearing thick leather gloves will help mitigate the vibration of the drill. Even with sophisticated vibration control technology, these machines will always be strenuous on your hands and forearms. It’s also very important to wear eye protection to protect them from dust and wear a mask so that you don’t breathe in the dangerous dust that will go everywhere when drilling.